At least 11 people, among them 5 children, were detained in Turkey’s Edirne province while they were on their way to escape to the Greece, state-run Anadolu news agency reported Tuesday. 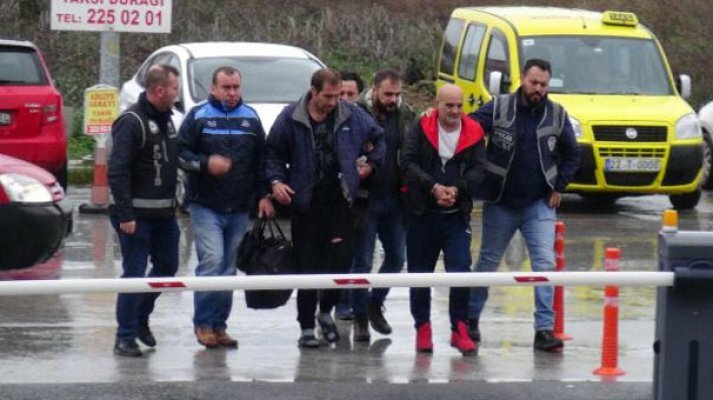 Police, upon an earlier tip-off, stopped a car near Edirne’s Yenikadın village and captured 6 adults along with 5 children who are reported to have been on their way for an illegal entry to Greece. Police also caught three Bulgari nationals who are claimed to have supported those would-be escapers during their journey to Greece and who were later put in pretrial detention. Anadolu said two of the 6 adults detained in the car had had outstanding arrest warrants over their ties to the Gulen movement. The six suspects were referred to the court for arrest while the children were sent to their relatives, according to Anadolu. The government accuses the movement of masterminding the coup while the latter denies involvement.